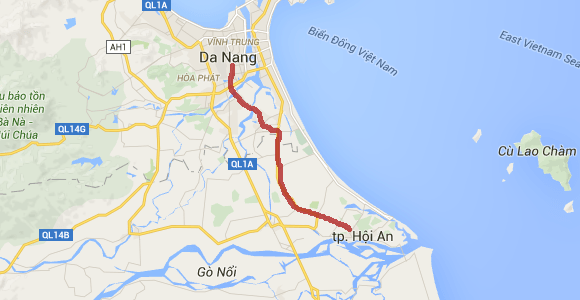 How to get from Da Nang to Hoi An distance about 30 km? This article will show you all the options you can go to Hoi An from Da Nang. But Why we should know? 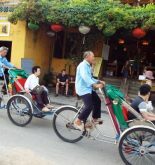 Previously we have written this article “How to Get to Hoi An“. Because no airport in Hoi An, and no railway runs through, then if you have plans to travel to Hoi An by plane or train, you have to stop in Da Nang. If you choose to go by bus (coach) from Hanoi (or Ho Chi Minh City), almost all run through Da Nang, which has a few run to Hoi An. So you’ll have more options if stopped in Danang. Another reason, in recent years, Da Nang tourism has flourished, you may choose to Da Nang is one of the destinations. And here are the 5 transportations you can choose to go. Tips: A taxi from Da Nang to Hoi An (4 seats) cost about 13-15 $ (30 km), you should pay the price in advance rather than charging by km on the clock. 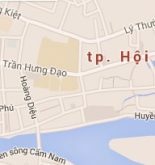 You should state stop point in Hoi An. Da Nang bus station (33 Dien Bien Phu St) – Ton Đuc Thang – Đien Bien Phu – Le Duan – Tran Phu – Trung Nu Vuong – Duy Tan – Cau Nguyen Van Troi – Ngu Hanh Son – Le Van Hien – Hoi An bus station. About $ 3 / person, they will pick up at Da Nang airport, even if you want to pick up another point, you have to talk with the hotel. Tips: You should consider to go by public city bus, buses will stop many points, it typically takes about 1 and half hours to go to Hoi An. It is interesting if you choose this way. Enjoy the feeling when the wind whipped into your body, while you still can shoot video or take photos. Tips: Motorbike taxi from Da Nang to Hoi An costs about 10-12 $, you should pay the price in advance. I give you an idea: if you stop in Da Nang and just want one day to go to Hoi An, choose the motorcycle. Where to get motorbike? Most hotels in Da Nang offers motorbike rental services, about $ 6 / day, buy petrol by yourself. Tips: Should be route preview, here is a map from Google. Fill up petrol, have helmet, windshield glass. This is the choice of the highest cost. Approximately $ 20/1 car, 4 seats, but in return, they will pick you up carefully. Most hotels in Hoi An offers airport pickup services. It is suitable for families or group. You can book private car with the hotel, or the Da Nang Connect service: (04) 62666000. Tips: If you have difficult to book the car please contact us. If you found this article interesting and helpful to you, please click the share button, to help us to be better known. Thanks!